Shop from our range of footstools, ottomans & pouffes. All available in different materials such as fabric, leather & more. This product is made by Indian artisans from hand-crafted solid mango wood from sustainable forests. Dove drum stool in grey velvet. 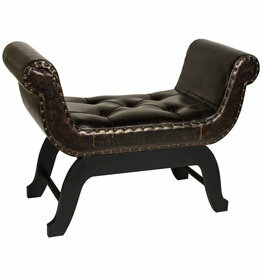 This gorgeous real aniline leather footstool/bean bag will add a touch of vintage charm to any interior. Bean bag leather & wool. This gorgeous real aniline real leather & wool mix will add a touch of vintage charm to any interior.